Published by Mills and Boon, Feb 1 2015, £4.99. Quick Description: Traditional Mills and Boon style, Caribbean Regency. Plot: The first time Miss Bryn Rutherford meets Captain Kitt Sherard he scales her balcony and kisses her breathless! And, after years of trying to behave, she can’t help but think Kitt’s piratical wildness is just what she needs. So when she must venture across the Caribbean seas only one man will do… Daredevil Kitt agrees to help – as long as Bryn plays by his rules. And that means hands off! Except when they’re trapped together aboard, the chemistry between them hits fever-pitch. Now it’s only a question of who’ll break the rules first! Rakes of the Caribbean: sun, sand and sizzling seduction! Do not be mislead by the photographic cover design, which in my opinion, makes the story look like a budget movie. It is well written with plenty of historical details about life and business during imperialist Caribbean. You are immediately plunged into the hot weather, the restraining dresses and the tense dinner parties of the social elite. A great deal of mystery keeps the reader going towards the end. There is also plenty of drama and climatic action. Everybody enjoys a good ship fight. Bryn and Kitt are very likeable. Bryn even more so. She is intelligent, high-spirited and opinionated. Like I said, this is very typical ‘Mills and Boon’. While the tension between the characters are as thick as the humidity and amounts to a graphic embrace, the relationship is certainly more sexual rather than sweet. I do prefer reading about love that develops in more complex ways. However, Bryn and Kitt compliment each other well and have a satisfying ending. Tag-words: Thriller, fast-paced action, young romance, NA + YA. Steam? : Hot tension, but not graphic. Plot: Everybody knows about the Cooper Killings. There was only one survivor – fifteen year-old Nic Preston. 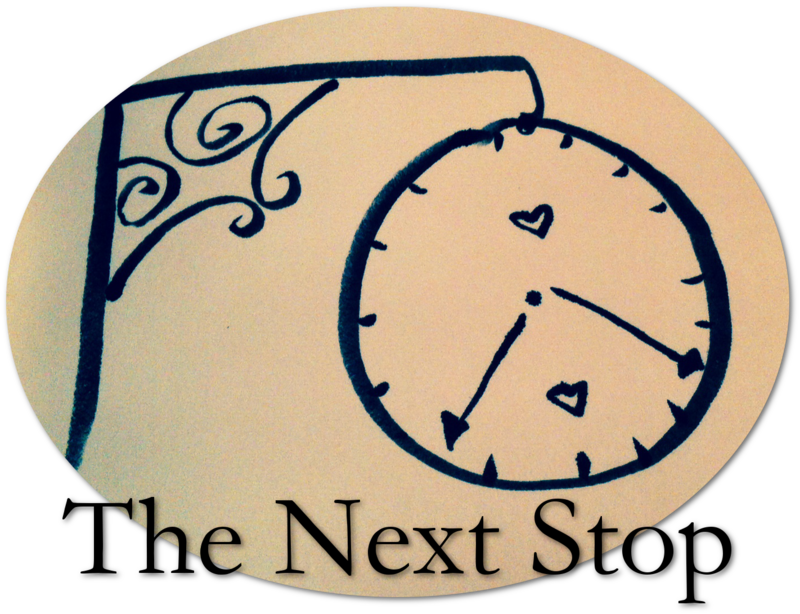 Now eighteen, Nic is trying hard to rebuild her life. But then one night her high-security apartment is broken into. It seems the killers are back to finish the job. Finn Carter – hacker, rule breaker, player – is the last person Nic ever wants to see again. He’s the reason her mother’s murderers walked free. But as the people hunting her close in, Nic has to accept that her best chance of staying alive is by staying close to Finn. And the closer they get to the truth, and to each other, the greater the danger becomes. Working down my reading list, I have finally been able to read this book. And it was well worth the wait. 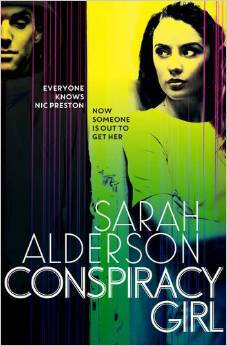 As I have said in my first ever review on this blog, Sarah Alderson is a fantastic story teller. Fans like me who have latched on after Come Back To Me (under the pen name Mila Gray), will not be disappointed. I would stress that this is not heavy on romance. It is an action-packed thriller with plenty of suspense and surprising revelations. For someone who is not so keen on thrillers and violence, I was definitely hooked on the plot. It got to the point where I had to stop myself from reading because I didn’t want to finish it too soon! The adrenaline was constantly pumping. This book had the same alternating chapters as Come Back To Me, giving us a deep insight into both the protagonists. Again, Sarah produces great characterization. Nic is a very believable and likable character. She is an 18 year old trying to piece together the fragments of a tragic past, and we definitely feel her pain and fear. Her vulnerability and bravery makes a good match for Finn, a confident genius who is also shouldering haunting memories. It also helps that he is hot as well. A lot of accurate and interesting research went into this. The book taught me a lot about the power of the online world and the diamond trade (I will not go into spoiler details). And also the fact that things are not always as they seem. Yet again we have movie potential. Plot: When beautiful Kate Mayhew is hired as chaperone to Marquis of Wingate Burke Traherne’s headstrong daughter Isabel, the Marquis finds himself in an impossible predicament. Torn between the knowledge that she is exactly what Isabel needs but also, for him, the worst possible temptation, he finds himself in constant proximity with someone who threatens his independence. Known for his steely self-control since the day he caught his wife with a lover, Lord Wingate has vowed never to risk marriage again. In accepting his lordship’s offer of employment, the feisty Kate faces two perils; her wild attraction to a man who has sworn off love, and a date with her own scandalous past…which she cannot keep secret forever. 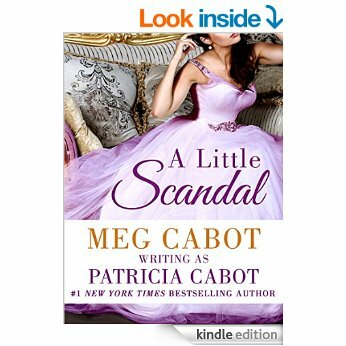 Meg Cabot inspired me to write romance, so when I discovered that her earlier books, which had gone out of print, have been rebooted as eBooks, I was ecstatic. This first, out of four new regency romances, I have chosen did not disappoint. Meg conjures up two unlikely lovers and has them locked in a fierce embrace halfway through the book. She mixes together seduction, scandal and sweetness beautifully. Kate Mayhew is smart and lovable, with a mysterious past that leaves the reader curious to know more. Burke Traherne is at first frightening but his steely character soon thaws out of control. With plenty of drama and humour, this is certainly a satisfying read. Published by Harper Collins Impulse Australia, 1 March, 2.99 AUD Ebook. 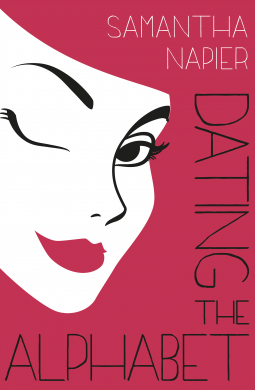 Plot: Ramona Rawlings is going to make dating fun again. Armed with an alphabet poster, post-it notes and her best friend Emma, Ramona is going to date the alphabet – from A to Z, Archie to Zolon and everything in between. Throw in the chaos of managing a theatre restaurant with a roster full of strong personalities, unfulfilled dreams and lustful hook ups and Ramona’s world is turned upside-down. Can you believe that this is my first time reading Australian contemporary? It was fun picking up some new lingo. And that was simply what this book was- fun. Ramona is a hilarious narrator surrounded by a bunch of zany but lovable characters. It was a light and amusing read. Each time we move onto the next letter in the dating-alphabet, we are faced with an array of new situations and dilemmas. Each chapter is full of energy. We quickly become attached to the unique theatre restaurant Ramona pours her heart into and sympathize with her quest to find the right flavour of love. I do prefer romances that are more intense and focused on the tension between two protagonists. But if you enjoy a broad range of interesting characters and want a good laugh, this is what you are looking for! My review copy was provided by Harper Impulse Australia via NetGalley. Published by Choc Lit, 14th Feb 2015, £2.99 (Ebook). Tag words: Pirates, historical, action-packed. Perfect for: Travel reading- escape back in time on that dull commute! Plot: To Amelia Dauphin, freedom is her most prized possession and she will stop at nothing to keep it. Daughter of a Pirate King and the youngest captain in her father’s fleet, she lives on the island of Ile Saint Anne, where pirates roam free and liberty reigns. 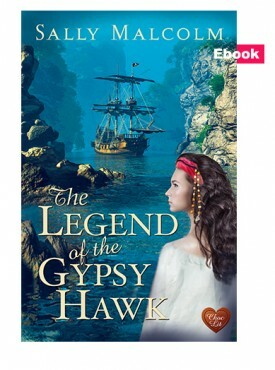 This book delivers its promise of having a ‘Pirates of the Caribbean‘ feel but with less fantasy and more historical facts for the readers to chew on. It has plenty of action, danger, suspense and a romance as heated as its tropical setting. The author writes detailed and beautiful descriptions of Ile Sainte Anne, its people, the seas, the ships and cold scenes in 18th century London. What I loved most about the book was its strong female protagonist. Amelia, or Captain Dauphin, as she frequently has to remind some of the men, is smart, tough and not shy of a fight. She is also beautiful and passionate about her family, community and beliefs. She also has a sensual vulnerability that blooms when she is near Zach Hazard. Zach is a typically gorgeous pirate, a match for Amelia’s strength and skill, but makes it firmly clear that he is tied down by no one. Their mutual attraction turns to intense love with devastating consequences. The sexual tension crackles like crazy, almost to the point where it frustrates the reader. There are a few repetitive conversations where the couple continually clash in their fundamental ideals. This is a book about the issues of duty, freedom and the consequences of going against your heart. It is the first book in what I am sure is an exciting series. It is definitely value for money. Many thanks to Choc Lit for providing me with a review copy! Plot: This is three books in one. 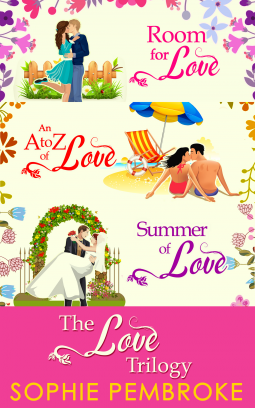 ROOM FOR LOVE, AN A TO Z OF LOVE, and SUMMER OF LOVE. All about small town young women in North Wales determined to prove everybody wrong by standing on their own two feet and taking on the usual life battles; restoring a cherished Inn, saving a community from corporate greed, breaking off a high-profile engagement and falling deeply in love at the same time. These ladies take on a range of challenges, learn about their identity and meet unlikely suitors on the way. It was a pleasant read. I would prefer a little more heat in the newly formed relationships. And there was one melodramatic evil character that seemed unrealistic but added to the fun of the plot. I have had the privilege of getting a review copy from Carina UK via Netgalley.